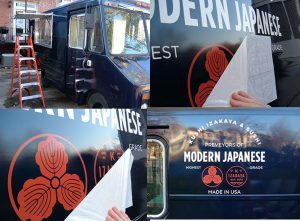 Vehicle wraps and vehicle graphics are the most high-visibility promotional elements that Kanban Signs produces. 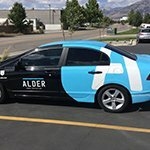 Our high-quality vinyl wraps and vehicle graphics are used to brand vehicles for business use or simply to improve the appearance of a vehicle. These are more convenient options as compared to getting a paint job. They are relatively quick to attach to a vehicle’s exterior surface and similarly quick to replace. Vehicle wraps and graphics are great for advertising and business branding. Using truck wraps for your delivery trucks, for example, effectively makes your truck a mobile billboard. 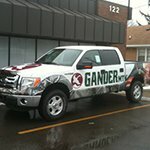 It can promote your brand or business name anywhere your truck goes. This means bringing your marketing or advertising campaign to a significantly wider range of audience. If you have multiple delivery trucks or vans, you can further amplify this mode of mobile advertising. Call Kanban Signs today at (619) 503-3634 for a Free Consultation with a Vehicle Wrap Expert! 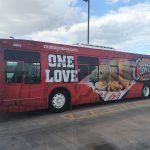 It would be a massive waste not to use vehicle wraps and graphics on corporate fleet vehicles, and an astounding lost opportunity for expanding your marketing efforts. 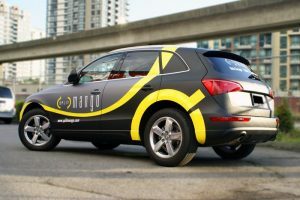 It’s worth noting, however, that the benefits of using vehicle wraps and graphics are not limited to marketing. 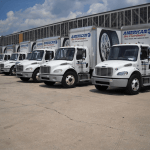 They can also lend greater legitimacy or a sense of credibility to your vehicles and crew. 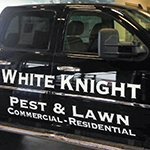 Clearly indicating your business name and contact information on your vehicles can make your business appear more trustworthy especially to new clients. Compare that to using unmarked or unbranded vehicles when visiting clients or providing services. Reinforce your brand, raise your visibility, and put clients at ease when you visit their homes with attractive, branded fleet vehicles. 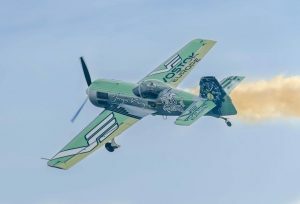 The use of vehicle wraps and graphics is a popular practice for various businesses across industries. 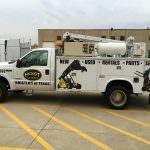 It’s something landscapers, electrical service providers, roofers, construction companies, plumbers, handymen, pest control companies, technicians, dry cleaners, and delivery companies all benefit from utilizing. 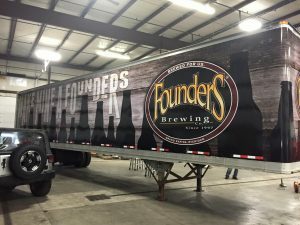 The use of truck wraps, van wraps, and business vehicle wraps used by various businesses allows them to improve their brand visibility and share their marketing message with a larger portion of their local audience. 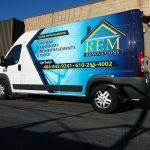 Trailer graphics, ad wraps for vehicles, auto decals, and vinyl vehicle graphics are not uncommon in San Diego. It’s easy to spot cars and other vehicles that bear vinyl wraps or vehicle graphics. Certainly, these vehicle wraps are not installed just for the sake of added aesthetics. Many businesses use them for more important purposes such as advertising or business promotion. 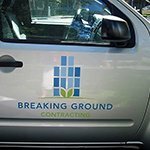 Our vehicle wraps can be customized to your brand, business, and promotional desires, including everything from cut lettering for DOT numbers to full coverage and full-color wraps. 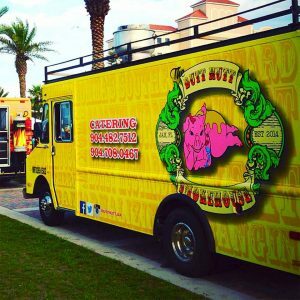 Our design experts at Kanban Signs are professional wrap designers who understand how to utilize your marketing message, branding, and vehicle shape and size to create an impactful and attractive tool for your business. All of our vehicle wraps are made of the highest quality materials to ensure durability, and can even provide protective benefits for your factory paint job. Not everyone wants and needs a full vehicle wrap. That’s why we also offer partial wraps, magnets, and vinyl graphics. These are smaller and intended for specific parts of a vehicle—and are also more affordable. If you are working with a limited budget, you can still utilize your vehicle as a high-visibility promotional tool. We offer other options that cost less but are still effective for the purpose they are intended. Our vinyl vehicle wraps can help improve the looks of your vehicles while promoting your business at the same time. If you have a minimalist design and your vehicle’s color matches or complements it, partial car wraps are a cost-efficient choice. Our partial car wraps can be used to place your business name, branding, or advertising on the side panel, the hood, your vehicle’s doors, tailgate, bumper, or side panels. Their edges are designed to easily wrap along the individual panels of your vehicle, resulting in a seamless appearance comparable to that of a factory application. 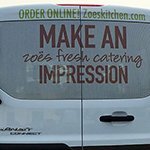 With vinyl graphics, what happens is that the design itself is directly stuck to the surface of the vehicle. These are different from vinyl wraps or partial wraps in that they are not an edge-to-edge application. This is by no means an inferior solution, though. Vinyl graphics are a great option if you want greater flexibility with your design especially if you are aiming for a minimalist look. It is also generally less expensive. 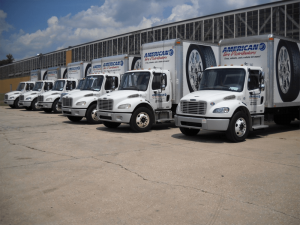 For DOT information, cut vinyl lettering is another flexible and durable option that allows you to add required or desired business information permanently to your fleet. Vehicle wraps are semi-permanent attachments to your vehicle and are relatively easy to remove and replace. If you desire or require a more temporary solution, or one that can be easily removed and reapplied at any time, then you may want to consider vehicle magnets. 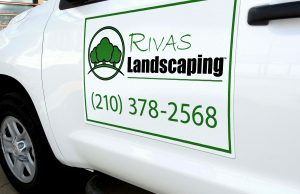 We offer custom vehicle magnets that take only a few seconds to attach and even less time to remove. They are available in many different sizes and types, and can be cut to unique shapes to best display your message. 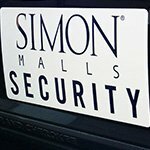 Vehicle magnets are ideal to use in places that have strict regulations on vehicle signages and for private contractors who may work under multiple brand names. We are confident in claiming that we have mastered the art of vehicle wraps and mobile signage. We know what works and what doesn’t. 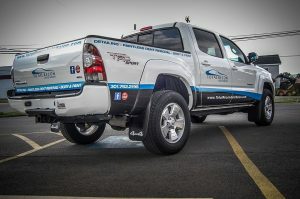 Our team of expert graphic designers and vehicle wrapping crew can design, fabricate, and install custom vehicle wraps that look seamless on any surface. We know how to make wraps complement the shape and curves of your vehicle, as well as ensuring they are effective in promoting your brand and business. 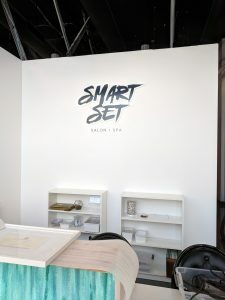 We always take cohesive design into account to make sure that the result is something eye-catchingly appealing and complementary of your other branding efforts and existing signage components, including your business indoor signs and outdoor signs. This commitment to cohesiveness also extends to the way we work with you to create a design that is attractive, effective, and exceeding your needs and wants. The vehicle wraps we create at Kanban Signs are not only for the usual business vehicles. 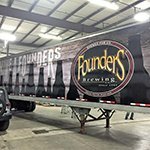 Our vehicle wrap products and solutions are not limited to trailer wraps, van wraps, and business vehicle wraps that present business names, logos, and other pertinent details. 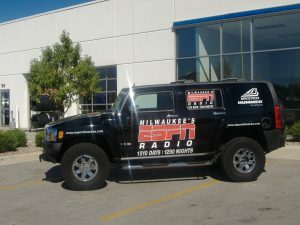 We create wraps to be used in special marketing events or purposes, and on many different vehicle and structure types. We custom design car wraps for cars to be used in exhibits or trade events. We design and produce auto wraps for cars that will be specifically used for advertising or marketing campaigns. Whatever your needs may be, we will create the right, high-impact vehicle wraps and graphics for you. Our elegant, durable, and protective ad wraps for vehicles can serve as an essential component for your advertising or marketing efforts. 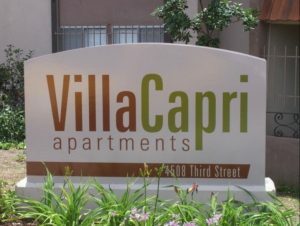 They can even serve as an excellent substitute or complement for your storefront signage especially if your business is not located in a high traffic area. In addition to our standard line of vehicle wraps, we also offer custom boat wraps and boat graphics. These marine-grade wraps are designed to withstand exposure to either saltwater or freshwater, waves, wind, and sand. These are a great way to brand a company boat or yacht. Our high-quality custom adhesive boat graphics and wraps can make your water vessels not only look great, but serve as an extension of your marketing campaign on the water. Who says promoting your business should only be land-based? Boats and water vessels, just like cars and other terrestrial vehicles, need to be registered and should display their identification details. If your boat does not have identification numbers yet, we can create cut vinyl lettering to properly display these in accordance with local law. These are fast and easy to install and produce, meaning that you can get your new boat on the water faster. If you are operating a boat-based business such as charter fishing or ocean tours, take advantage of our boat wraps and graphics to improve the looks of your vessels while boosting your business advertising both in the marina and on the water. We can custom-make boat wraps to bear your business name, logo, and other relevant details and graphics that will help promote your business. Kanban Signs provides a full range of vehicle wrapping solutions. We don’t only sell vehicle wraps; we can also work with you in coming up with the best design to be used on your car, van, truck, or trailer. We provide free consultations to discuss the details of your wrap project. After coming up with an agreement on the wrap or graphics you want, we create a design sample for approval or improvement. Once you approve a design, we immediately proceed to the production of the vinyl wrap or graphics. 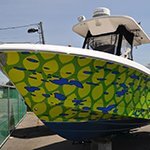 All vehicle wraps and graphics projects, including our marine-grade boat wraps, are managed on-site at our San Diego sign company facilities, making it easy for our designers and fabricators to work together, ensuring a finished product that is cohesive with the proof and your expectations. Kanban Signs completes the project with expert installation on your clean vehicle. Our services don’t end with the installation of the vehicle or boat wraps and graphics. We also offer repair and maintenance services to prolong the life of your wraps and graphics. We can fix worn out parts or do a full replacement. Likewise, we can update your wraps and graphics in case there are changes in certain details about your business indicated on the wraps or graphics. Kanban Signs is your partner for attractive vehicle wraps and graphics that get your brand noticed. Whether it’s for a single car, a fleet, or for your boat, we produce the right wraps to give your vehicle a professional and presentable appearance. Call Kanban Signs for your Free Consultation with a Vehicle Wrap Specialist!